Not sure which wines to choose? 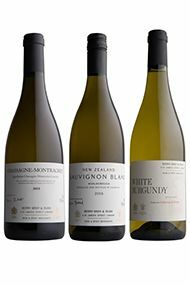 Our Mixed Cases are a great way to sample a range of wines from our extensive wine list, safe in the knowledge that they are meticulously selected (and sampled) by our buyers to ensure that whatever you are looking for, it'll be great. This mixed case is discounted by 15% until 6pm on 30th April. 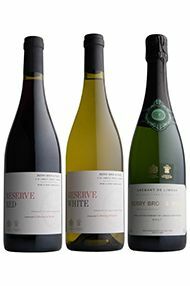 If you’ve a thirsty family descending, parties to cater for – or just want to send a case of something nice to butter up your host – look no further than our own-label range. 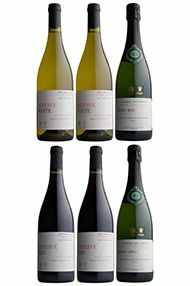 Our Mixed case includes our Reserve White and Red (both made exclusively for us by the talented Collovray & Terrier) as well as our citrus-laden Crémant de Limoux – the perfect party fizz. 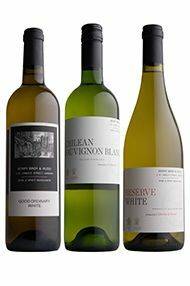 This all-white selection includes three of our best-selling wines: our ever-reliable Good Ordinary White; our refreshing and aromatic Chilean Sauvignon Blanc; and our zippy Reserve White, made by expert Burgundian producers Collovray & Terrier with fruit from the Pays d’Oc. 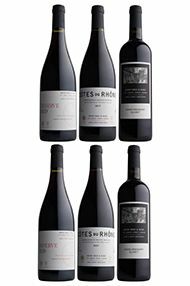 Each of these reds has been selected by our expert team of Buyers as an excellent example of its type: our excellent, juicy Reserve red comes courtesy of Christian Collovray and Jean-Luc Terrier in the Pays d’Oc; the latest vintage of our Côtes du Rhône is particularly moreish (and happens to be biodynamic); while our best-selling Good Ordinary Claret would do justice to any feast. 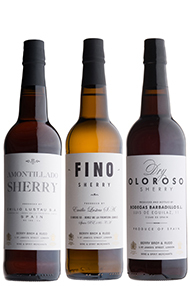 We have worked with the esteemed Bodegas Emilio Lustau to create our Own Selection Sherries, each of which displays the quintessential style of Jerez’s famous fortified wine. 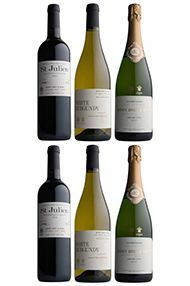 From the lip-smacking salty tang of the Fino to the subtle, nutty character of the Amontillado and the richer, rounded complexity of the Oloroso, these are beautiful wines offering exceptional value. 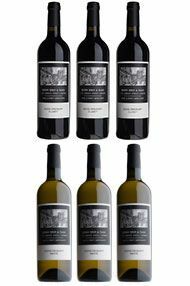 A merchant’s house wine should be the best it can offer for the price: a standard by which it can be judged, so we have created this 6-bottle mixed case to ensure that you never find yourself without a quaffable bottle, come what may. 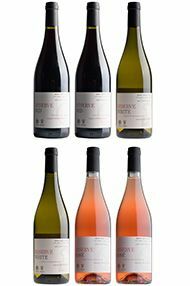 Whether you need a rich and fruity red, a refreshing, satisfying white or a dry and thoroughly enjoyable rosé, with this collection you will be sure to have a good wine to hand. 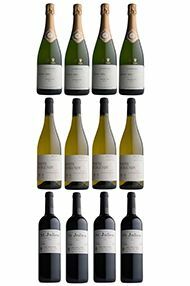 This mixed case includes a 15% saving, available until 6pm 30th April, 2019. This duo comprises 3 bottles each of our best-selling Good Ordinary Claret and its sibling, Good Ordinary White. The cornerstones of our Own Selection range, these two wines form a trustworthy alliance, as suitable for a gift as they are for mid-week dining. 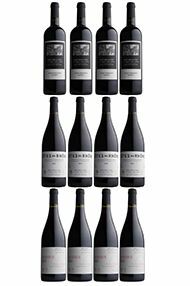 A step up from our Family Collection, this range includes bottles from classic wine regions around the world. 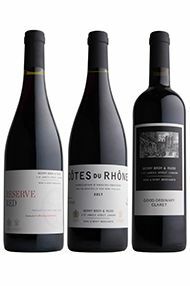 All from our own-label range, this mixed case combines classic Claret from St Julien (made by the team at Ch. 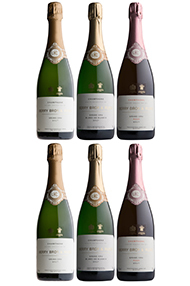 Léoville Las Cases, no less) and crisp white Burgundy with our rich and complex award-winning Grand Cru Champagne. 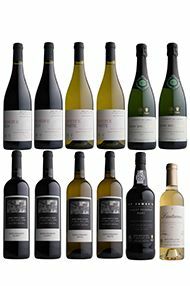 A step up from our Family Collection, this range includes bottles from classic wine regions around the world. 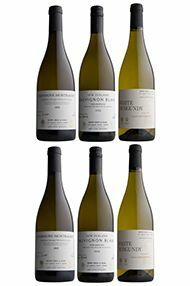 All from our dependable Own Selection, the bottles in our white case include a classic white Burgundy, a superb restrained Marlborough Sauvignon Blanc and a rich, rounded Chassagne-Montrachet – perfect for partnering everything from smoked salmon to turkey. This duo comprises 6 bottles each of our best-selling Good Ordinary Claret and its sibling, Good Ordinary White. 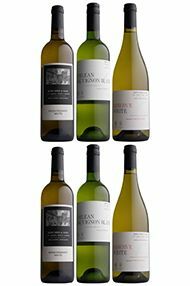 The cornerstones of our Own Selection range, these two wines form a trustworthy alliance, as suitable for a gift as they are for mid-week dining. 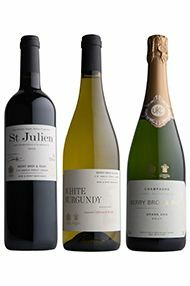 Our Complete case is a one-stop shop for all your (or your recipient’s) vinous needs over Christmas, including a selection of sparkling, white and red wines, as well as a bottle of luscious Sauternes and rich Port that would be perfect with Stilton. This case offers a saving of £24.20 on the retail bottle price. 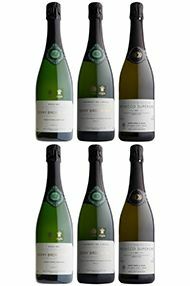 Our Own Selection Champagne features a range of Grand Crus from excellent producers. The ever-popular non-vintage Champagne is consistently delicious, while the rosé – made for us by Benoit Marguet – adds a touch of glamour to your occasion. 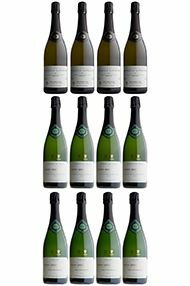 Finally, our Blanc de Blancs, made purely from the Chardonnay grapes at Le Mesnil, is both elegant and sophisticated. 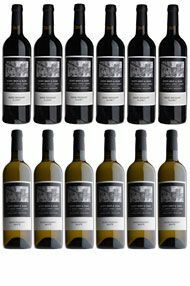 We only release our "Liquid Gold Assortment Case" in vintages where we can find 3 or 4 sticky beauties that really excite us and in 2009 we had a wealth of options. 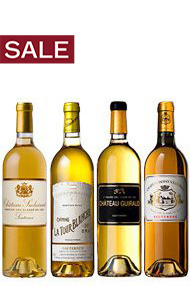 We appreciate that sometimes it is quite hard to work your way through a whole case of the same Sauternes, and this Liquid Gold case gives you the ability to dip in and out of 4 different wines of differing styles. 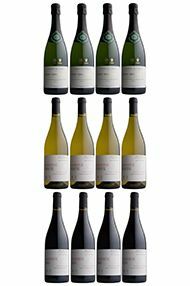 This is always one of our staff's favourite cases to buy, and after a recent re-tasting of the wines, we are delighted with our selection this year. An assortment of wines from the 2003 vintage from Pétrus, Ch. Latour, Ch. Ausone, Ch. la Mission Haut-Brion, Ch. Cheval Blanc, Ch. Lafite Rothschild, Ch. Margaux, Ch. 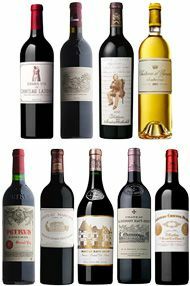 Mouton-Rothschild and Ch. Haut-Brion. 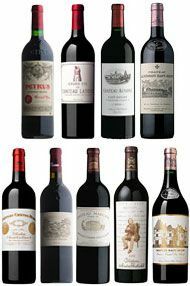 An assortment of wines from the 2003 vintage from Ch. Latour, Ch. Lafite, Mouton-Rothschild, Ch. d'Yquem, Ch. Petrus, Ch. Margaux, Ch. Haut Brion, Ch la Mission Haut Brion and Ch. Cheval Blanc.